This reading group guide for Summer Girls includes an introduction, discussion questions, and ideas for enhancing your book club. The suggested questions are intended to help your reading group find new and interesting angles and topics for your discussion. We hope that these ideas will enrich your conversation and increase your enjoyment of the book. Marietta Muir is worried that her much-loved granddaughters, though as different as can be, are estranged. Now fully grown, Carson, the free spirit; Dora, the Southern-belle-turned-stay-athome- mom; and city girl Harper haven’t spent time together since their long childhood summers with their Mamaw at Sea Breeze, the beach house on Sullivan’s Island, South Carolina. But when Marietta schemes to bring her girls back together for her eightieth birthday party, the women’s differences threatens to tear them apart once and for all. An L.A. photographer, Carson feels most at home when she’s in the water. But the ocean’s magic isn’t enough to keep her emotional demons at bay. When she comes to Sullivan’s Island, Carson is offered a fresh start . . . with some help from a marine biologist, a dolphin named Delphine, and her sisters—the summer girls. 1. Dora’s initial reaction to Mamaw’s plan to bring the summer girls together for the season is to call it “blackmail” (p. 173). Do you agree with Dora, or are you sympathetic with Mamaw’s scheme? Why or why not? 2. Besides Harper, Carson, and Dora, Mamaw and Lucille have perhaps the most complex and important female relationship in the book. Describe their friendship. How do the two older women serve as role models to the younger three? 3. Mamaw plans to give her granddaughters their pearl necklaces early in the book, before we know Dora, Carson, or Harper very well as characters. What could you assume about each of the summer girls based on Mamaw’s choices for them? Were those assumptions accurate? 4. Carson is Mamaw’s favorite granddaughter: “It might have been because she’d spent the most time with the motherless girl when she’d come for extended stays after being unceremoniously dumped by her father when he was off on a jaunt. But Carson was also the most like Marietta, passionate about life and not afraid to accept challenges, quick to make up her mind, and a tall beauty with a long history of beaus” (p. 37). Which of the three sisters did you relate to most, and why? 5. Dora has not been open with her family concerning Nate’s autism. Do you think this was a decision on Dora’s part, or simply benign silence? What would prompt this? Do you think her hesitancy was ultimately more helpful or harmful for Nate? 6. Discuss how Parker’s legacy affected his mother and each of his three daughters. The negative sides of his alcoholism and abandonment are obvious, but can you identify any positive effects of his actions? 7. In addition to their individual conflicts with each other, Harper, Carson, and Dora each have a complicated relationship with their grandmother. While they love her, they each feel guilty about being gone from Sea Breeze for most of their adult lives and, at times, resent Mamaw for her meddling. What are Mamaw’s biggest faults in this novel? Why do you think Mamaw has decided to try “tough love” with her granddaughters? 8. Blake has to explain to Carson why befriending wild dolphins is dangerous not only to the dolphins themselves, but also to humans. Do you agree that Blake’s anger with Carson over Delphine’s life-threatening injuries is justified? Who do you think is most to blame? 9. Forgiveness is a major theme in this novel. Consider Carson’s history with her father and her mother and all the years of secrets, silence, and enabling. Carson has confrontations with Blake (over Delphine), Brian (over her theft), and Dora (over what Dora reveals about her mother’s death). How do all of these scenes lead to her growth as a character? 10. Carson and her grandmother are the two characters who were closest to Parker. How did Parker’s actions impact Mamaw and Carson’s relationship with each other, even after his death? 11. Throughout the novel, Carson is fearful of attachments— to a place, to a job, and especially to a man. Why do you think she suffers from an inability to commit? What role does Delphine play in helping her to connect again with her sisters? To Blake? To herself? What is Carson’s challenge at the end of the book? 12. 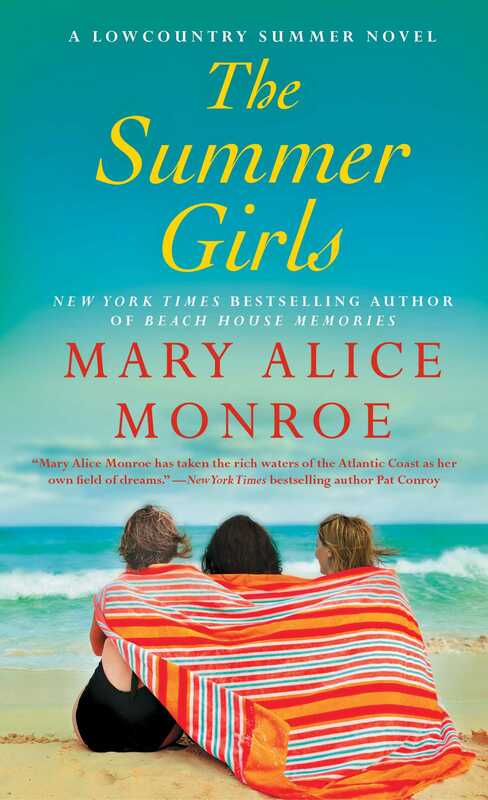 The Summer Girls is the first book in Mary Alice Monroe’s trilogy about Sullivan’s Island. Predict what the next two books will have in store for Dora and Harper, Carson, Blake, and Delphine? 1. In The Summer Girls, Carson befriends Blake, a scientist with the National Oceanic and Atmospheric Association, which has ocean, weather, and fishery branches in every state. Research the NOAA, and explore their Volunteer website, http:// www.volunteer.noaa.gov/, and also see Mary Alice Monroe’s Conservation page, http://www.maryalicemonroe .com/site/epage/116387_67.htm. With your book club, plan a group outing or fund-raiser to support the NOAA or another local wildlife preservation organization. 2. “I would like each of you to list the item that you most want to have. The one item you are desperate for, more than any of the others. I want to be sure you each take something from the house that you love” (p. 169). Mamaw lures her girls to stay for the summer with keepsakes from her home. Monroe reveals through flashbacks why Carson selected her treasure—the portrait—and how monetary value played no part in her decision. Every family has their unique “treasures.” Discuss with your book club the family heirloom that means the most to you. Suggest that each member bring in a picture of her “treasure” to share and tell why that item has value. What would you like to leave to future generations, and what treasured mementos are most precious to you? 3. Evoke the book’s setting by channeling Lucille’s home-style Southern cooking. Plan to host your book club as a potluck, with each member cooking one of Lucille’s signature dishes, like mashed potatoes, lemon bars, hush puppies, gumbo, and sweet tea. Make copies of each recipe for all of your book club members to take home. You could even bind them together to create your own The Summer Girls cookbook! "Mary Alice Monroe has taken the rich waters of the Atlantic Coast as her own field of dreams. In The Summer Girls,she sings a song of praise to the bottle-nosed dolphins that bring so much joy to the men and women who gaze at the creeks and rivers of the low country each evening. Like all her books, The Summer Girls is a call to arms." "The Summer Girls is more than just a beautifully written, moving portrayal of three sisters finding themselves and each other after years of separation. It's also an important book that deals head-on with significant issues so skillfully woven into the narrative that I often stopped to consider the import of what I'd just read. If you're a dedicated environmentalist, this book is a must-read. If you're just someone who enjoys a good story, you'll get that, too, and much more." "The Summer Girls conveys sound environmental messages through a captivating story of how the ocean and a charismatic dolphin reunite sisters in the alluring ecological setting of the Lowcountry of South Carolina. The story resonates on a personal level and, moreover, delivers a powerful reminder of the importance of protecting dolphins and the environment in which they live." “An exquisite, many-layered novel of an unsolved mystery, an obsession, a reconciliation, and a little romance.... Treats readers to lush descriptions of nature." "An author of power and depth." "A strong, warm voice that brings the South to life." 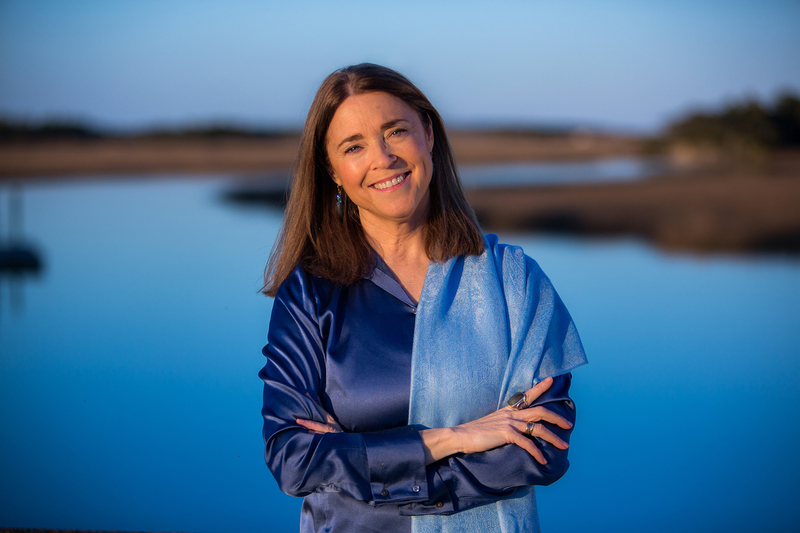 "Mary Alice Monroe has written another novel that is helping to redefine the beauty and magic of the Carolina Lowcountry. Every book she has written has felt like a homecoming to me and...she has succeeded in making the marshes and rivers of the Lowcountry her literary home.... Haunting." "Monroe makes her characters so believable, the reader can almost hear them breathing." "Mary Alice Monroe has become one of the premier voices contemporary women's fiction today. Her lyrical, emotional, and gripping stories make for superb reading experiences." "A soaring, passionate story of loneliness and pain and the simple ability of love to heal and transcend both. Mary Alice Monroe's voice is as strong and true as the great birds of prey of whom she writes." "Mary Alice Monroe writes from her heart to the hearts of her readers." "Such a wonderful, exciting new read! Very well written and addicting! Looking forward to the next book in the series. Mary Alice--hurry up!" "Mary Alice writes the most readable books with important environmental story lines, but "The Summer Girls"might be my favorite. It's about family, finding yourself, getting through bad issues that could weigh you down, and enjoying the ride with the warm embrace of family. And there's a wild dolphin who helps heal the pain but finds his own. This book has everything--sense of place, family, strong characters, romance,a love of dolphins and more. This is BETTER than a beach read; this is a great book club book to discuss! Can't wait for the next in the trilogy. thanks, Mary Alice!" "How wonderful it is to be able to dig into a summer novel and not only get so much pleasure from the awesome story, but to learn, learn, learn...[S]he brings new awareness to those of us who need enlightening." "[A] beautifully written and thought provoking work of fiction. Mary Alice Monroe once again delivers on her promise to write books that explore the beauty in nature and the complexity of human relationships as she delves into the human psyche."